BYK E-450 x2i, 2017. An ergonomic designed bike to make riding as easy as possible. This bike is made from an ultralight aluminium frame and lightweight accessories. 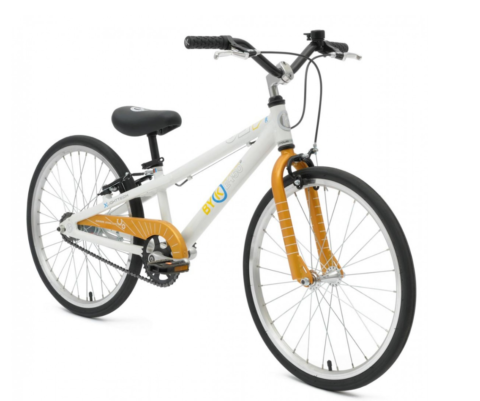 This bike also has a revolutionary 2 speed gearing system where the child does not have to change the gears, as soon as they reach a certain speed the bike will change gears for them.